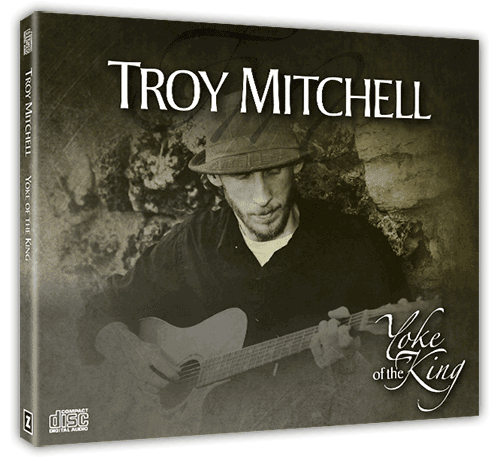 Worship leader Troy Mitchell’s debut album, “Yoke of the King,” brings a fresh and authentic voice to Messianic Judaism. Mitchell’s original songs draw from the Gospels, the Hebrew of the Tanach, the Midrash, synagogue prayers, and first-century liturgy—even utilizing the Greek of the Apostolic Scriptures—to bring a fusion of Chassidic joy, gospel hope, jazz, and soulish prayer focused on the light of Messiah. English songs include his gripping treatment of Isaiah 53, a moving rendition of John 14:27, and Yeshua's call to take up his yoke. Mitchell’s music is a gift to the new generation of Messianic Jewish music. Song List: Halleluhu, Peace, Urah, Yoke of the King, O Vathos, Kemo Shehapas, Yehi Shemo, Uvashabbat, Adon Olam, Isaiah 53, What It’s Like. Recorded in 2010. All songs arranged by Troy Mitchell. Performed by Troy Mitchell and Mike Oshould. Mixed and Mastered by Marc Frigo, Frigo Recording Studio. (www.frigorecording.com). Produced by Troy Mitchell.